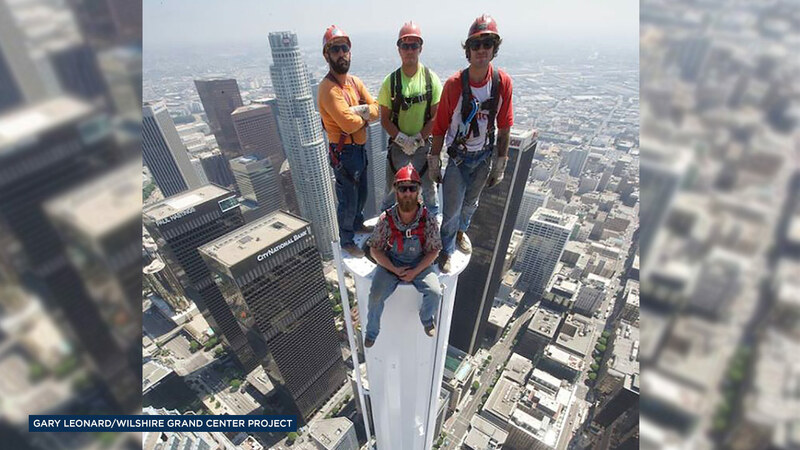 DOWNTOWN LOS ANGELES -- Construction workers stood atop the Wilshire Grand Tower in downtown Los Angeles and posed for an epic picture. The four men were on top of the spire that was added on Saturday, making the building the tallest west of the Mississippi River at 1,099 feet. 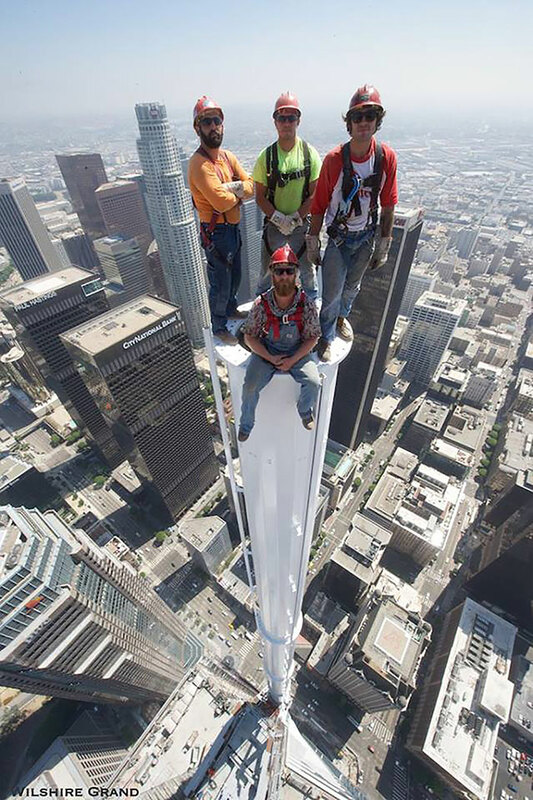 Four construction workers pose atop the Wilshire Grand Tower in downtown Los Angeles, the tallest building west of the Mississippi River at 1,099 feet. The Wilshire Grand Tower now beats the U.S. Bank Tower by more than 90 feet. Los Angeles photographer Gary Leonard with the Wilshire Grand Center Project snapped the picture of the workers. The Wilshire Grand will eventually be part of a massive mixed-use center with a hotel, office complex and shopping mall. The tower is expected to open in March of 2017.